Everything from basic lawn maintenance to commercial services! Let Thornapple River Nursery's experienced, professional and caring staff assist you in fulfilling your landscaping dreams. We help you with every step of the design, installation and maintenance process. Whether you know what you are looking for or don't even know where to begin, our designers will incorporate your ideas and provide design expertise to create the landscape of your dreams! 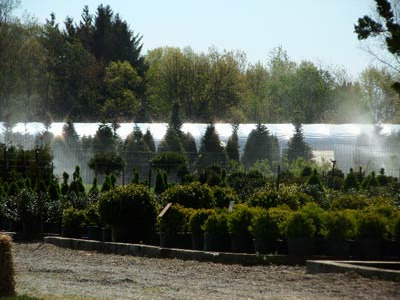 We have a vast array of trees, shrubs, perennials, ornamental grasses and ground cover on site available for immediate pick up or delivery. Keeping up with the demands of your home's lawn and landscape can be a full-time job, so let us take the workload for you! We offer services all year round, including snow plowing. We carry a large selection of hardgoods including bark mulch, leaf mulch, boulders, brick, topsoil, seed, fertilizer and much more.